((Totally forgot to add in things here! This is a more relaxed RP, where one can come to possibly adopt a Chao, or simply build character development amongst other characters who are here in the story! This RP will have a 3 day posting limit. I understand completely if something pops up and you may not be able to make the timing, but please let me, or even someone else who is in this RP know so we can all be filled in, otherwise we may have to skip you to stop holding the story up. That way we can possibly extend it for you, should you wish to post for your turn. Myself, Red, Dione, Gear,then Mike. Anyone else who joins shall be added afterwards. The sun was slowly raising from behind the mountains in the distance. The chilly air around had left a slight sheen of frost on the trees and grassy ground of the vacant area. A soft humming could be heard bouncing off of the trees surrounding the small walkway that looked to be Mobian made. The gentle sound was coming from ta violet snow leopard who was walking slowly along the path alone, pausing every now and then to take in the calming sights of the scenery all around. She stopped at a small waterfall that not a lot of others would care to spot and leaned on one of the higher up jagged rocks that acted as a ledge to watch the water cascade down from the edge. It was entrancing. Before she knew it, she had spend a good fifteen minutes just staring into the clear waters of the secret spot she had silently claimed as hers. She internally began to panic a little at drifting away from reality so easily, but quickly pulled herself together and shook her head as she closed her eyes and smiled to herself. It was her day off, and she was free to spend it however she wanted. She would spend all day here in this serene place if she so wished. A loud chirp sounded from the other side of the waterfall, indicating to the purple female that something was behind the sheet of water. Her ears perked as the strange chirp sounded again, but with a little more urgency this time. She grew worried. Was something hurt behind that veil? Should she step in and investigate? Or would she be overstepping into a wild animals territory? Furrowing her brows, she decided to make a move as yet another, louder noise echoed out. Jumping over the ledge and down into a shallow part of the pool of water, she carefully climbed over the many rocks that acted almost as if they were guarding the waterfall. Just as she made it about three-quarters of the way there, a small form burst out from the waterfall in a frenzy, heading straight for the feline. Naturally, she went to move out of the way, but, finding no way to go she did the only thing she could; she raised her arms to defend herself from the incoming bullet, only to feel something bump and press against her arms for a few seconds that knocked her backwards, straight into the pool of water she was climbing the rocks to avoid. Quickly coming back up to the surface, she jumped back onto the rock she was on previously, looking around in shock for the thing that had flown towards her. Unbeknownst to her, what had made contact with her had attached itself to her head and began...giggling? The noise startled the violet girl, making her frantically rub over her head to find what was now laughing at her. She found the culprit and pulled it around so she could see what it was and became pleasantly surprised. A small white and blue chao was in her grip. In the mountains where there was still a lot of snow and frost everywhere a feline in a camouflaged outfit was prone down on the ground as he looked through the scope of a rifle. The blue fured feline appeared to be hunting or stalking some prey of some sort. Through his scope he was watching what appeared to be some sort of deer or animal native to the hills. He watch and waited as the creature was eating from the ground as he hid on his belly with his rifle ready to fire. "Yep, a three pointer." He muttered quietly to himself. Not too far away from Yukiko's location, a hedgehog that would be familiar to her was simply laying down on the frosty grass, with his head laying down on his hands. He was asleep... Somehow. His eyes began to open as he himself could hear an odd chirping. He sat upright, shaking his head "ugh, how did I...?" He muttered, looking at the slightly whitened ground beneath him. The hedgehog stood up, brushing some dirt off of his back. He chuckled "I guess it was just so peaceful, I fell asleep!" He said, still laughing somewhat. He looked around "now... Where am I, again?" He cut himself off when his ears twitched. A splash of water was all he could hear. It sounded large enough to be Mobian, possibly even human. His eyes widened "swimming? In this temperature?" He asked himself. Well, it wasn't unheard of. Hell, he'd done something similar before. " No, that didn't sound graceful enough to be voluntary." He turned in the general direction of the noise. He began to run, soon coming to a clearing, with a small lake, with a waterfall. He saw a rather wet-looking snow leopard standing on a rock, holding... Something. He stepped closer "hey, are you alrigh-" he was cut off when something odd hit him in the back, causing him to be knocked forward quite some distance and into the lake. The water was cold, to say the least, but... It didn't seem as cold as it should be. There was an odd kind of feeling. Not quite warmth, but that was the only way the hedgehog could describe it. He soon came back to the surface, coughing up water "the... Hell was that?" He asked himself, treading water. The small Chao in the females arms stared right into her own amber orbs for a few seconds as if it were hypnotized before bursting into a crazed fit of glee. It seemed that this was a very young baby judging by it's energy and tiny size, which of course made Yukiko smile softly towards it. A loud splash caught both the Chao and Mobian's attention which made the two turn in the direction of where it came from, only to find a red hedgehog struggling to come up for air. Coos and chirrups erupted from the tiny being as it magically freed itself from Yukikos grasp and began circling the red hedgehog happily as if he was playing a funny game with them. It took a few seconds for Yukiko to come to her senses as she finally realised that the Chao was no longer in her arms, and that the hedgehog was in the water. She immediately sprang to attention and sat down on the very edge of the large rock she stood upon with her long tail outstretched towards him, should he need a hand getting up. As he neared her, she noticed a familiarity about him and she couldn't help but find a smile creeping on to her face. "Caen?" She half shouted. 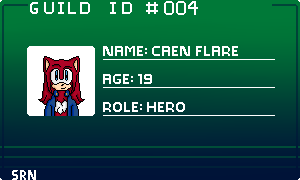 "Caen Flare? Wh-what brings you out here?" It was a bit of a random question considering they were currently in the middle of a pool of water, both being soaked to the skin unintentionally. She brushed her bangs back to clear her vision to make sure it definitely was him, and the tiny white and blue blob continued to giggle and cheer for him as he swam. It was as if the little creature believed he was still playing a game. Caen just stayed there for a moment, catching his breath. However, he snapped out of it when he begun to hear a chirping noise around the area of his shoulder. He looked over to it, and staring back was a small red and white chao. He smiled at it, before it took flight and joined its friend, who had now begun circling around the hedgehog. At this point, he noticed the snow leopard was talking to him, holding out her tail. He smiled even wider when he knew who it was. "Yukiko! How you doing?" He asked, still in the water. To be honest he didn't seem overly bothered at that moment. "Well, I can tell you one thing, I didn't plan on taking a swim this morning!" He said, chuckling "but in all seriousness, I just came out here for some alone time. To relax, you know." He said, swimming over to one of the nearby rocks and climbing up onto it. He shivered slightly when the cold air hit him. Caen tensed his muscles as most of his body summoned a relatively weak flame for a few seconds, causing the excess water to simply evaporate. He stretched his arms, smiling at himself "one good thing about pyrokinesis,I guess," he muttered to himself, before gasping when looking over at Yukiko. He summoned a flame in his hand "Y-you must be freezing! Here, I-I'll dry you off!" He said, stepping over to the stone she was standing on. So, it really was Caen. She was relieved that it was someone she knew, that meant she wouldn't be so nervous when talking. She watched the red hedgehog climb up onto another large rock and use his fire powers to dry himself off. As she took a glance over towards the two baby Chao circling and growing closer to the two Mobians, she heard Caen talk of drying her off using his flames. "Oh, you don't need to worry about me." She smiled softly. "I actually like the colder temperatures, even if it was unintentional to be wet in the early morning chill." Yukiko raised her hands and slowly took off her leathery black gloves to show her snow white hands. Her eyes closed momentarily and a slight glow emanated from her before each tiny droplet of water on her fur hardened into glittering ice and swirled around her before harmlessly dropping into the water. The white-blue Chao managed to grab a piece of the ice just before it hit the liquidy substance and licked it like an ice lolly. The tiny teardrop creature shivered for a moment, then giggled happily and licked it again. Yukiko watched quietly as the Chao that bumped into her continued to enjoy the coldness of the tiny block of hardened water. "I always come out here when I have free time." Her soft voice began. "I've never been down here at this waterfall though, normally I just watch it from up there." She gestured to the higher rocky ledge she had been leaning on before. "These two seem to have come from the opposite side of the fall. Could there be something worthwhile on the other side you think?" The small Chao had stopped their playing for now and had come back over to sit with the two Mobians and watched some of the conversation. Nobody really knew if they understood the Mobian language at the early stage in life of a baby, but the looks they were given indicated they at least understood some parts. The mention of behind the waterfall got them excited as they began to fly in circles once again. Caen stood and watched Yukiko's own display of her powers, with each droplet of water floating away from the leopard and freezing instantaneously. Each one made a satisfying noise as they landed into the lake around the two Mobians. Caen crossed his arms, holding up one arm forest his chin on his hand. He smiled at Yukiko's surprising amount of openness towards him. He raised an eyebrow when she mentioned checking behind the waterfall. A chuckle was let out quite easily. "I kinda didn't want to voluntarily swim. Although..." He looked back at the shore "I kinda don't have much of a choice, do I?" Turning back towards the snow leopard, he smiled at her "I can agree that this place is relaxing, though. So much more peaceful than staying in town, waiting for yet another guy to come after me, or for me to go after them... But, I digress." Caen's brief information session on how he felt about the town a little ways from their current location made her frown a little. When she first met the hedgehog she assumed he fit right in with the city-like atmosphere and the constant busy people around. To be honest, she at first thought it was rather unusual to see him in a place like this. Then again, she didn't really know that much about him. "I'm sorry If my abilities are something that has startled you." She half whispered. "You have demonstrated your flames before, and while I also have in the past, I didn't want to burden you with my...issue..." She gestured to the liquid flowing calmly around them with a slow wave of her bare hand. "Anyway, you spoke of someone coming to 'get' you... what do you mean by that? Surely you are not in any trouble with the wrong kind of people, are you?" The Chao who had continued to cheer, coo and giggle in the vicinity had stopped upon Yukiko asking Caen this. They silently hovered over to the two Mobians and landed on each being head to listen to what was being said. It would seem they both were happy and content around the two, even though they had only met very recently. Caen lowered the arm his chin was resting on, leaving his arms folded. He looked away from Yukiko for a second, before looking back again "it's just... Well, more and more often lately, trouble seems to follow everywhere I go. If I'm not putting up with Alastor, it's some other crazed maniac! I've barely had time to focus on finding any casting calls, as well as acting in any parts that I already have, so... I've been just wandering around the forest more and more often, just to relieve the stress, y'know?" He said, a frown growing across his face. He shook his head, using one hand to straighten the quills on the top of his head "but there's no need to worry about me. After all, I'm sure you have plenty on your plate right now, and I kind of chose this life." The hedgehog sighed, before turning and looking out at the lake. He noticed that the red chao that had pushed him into the lake was now sitting on his head, listening intently "it's stressful, yeah, but, seeing the faces of all the people I've helped, or entertained... It helps me pull through, you know?" He asked, turning his head slightly towards the snow leopard. White tipped ears lowered sadly at the history Caen shared in confidence to her. She only thought lives like the one he explained were simply in movies or books. It felt almost surreal to have someone like him stand right in front of her. Then again, you can't always guess everything about a person just by a short meeting. "You're a very strong person, " she stated in a quiet tone. "Being able to stay positive like you do takes a lot more than the average person I bet. I don't know who this 'Alastor' being is, but I bet that he never wins against you." Yukiko raised her hand to touch the Chao on her head gently, making the creature coo softly. She kept her gaze steady on the red hedgehog who had a sad look in his eyes. He looked tired. Not so much physically, rather mentally. "I've always lived a sort of, what you could call a sheltered life? I went to a private school, then was removed because my classmates were afraid of me because of the... obvious. I've never truly seen the world like anyone else has, so I guess, in a way... I'm envious of you. For having that freedom anyway. " The violet feline swished her large tail contentedly and a distant look entered her amber orbs for a moment, but it was gone as fast as it appeared. There was no use dwelling on the past events, but she couldn't help but wonder what life would have been like if she wasn't taken out of school to be tutored at home. What would her life have been like without her powers? She shook her head, making her still damp raven black hair fall out of her hair tie a little and spill around her face. Looking up to Can, she smiled brightly. "Anyway... Let's not bring things down like this. These little ones, do you think they need any help? It's very odd to see a couple of babies with no parents, or even a garden nearby." Caen simply scoffed when Yukiko called him strong. "I wish I was," he said, his ears lowering even more. When the snow leopard said that Alastor must never win, he looked away for a second, exhaling sharply "Alastor, he's... I've never beaten him, truly. To this day, what he did... It... It haunts me." He scoffed once again, this time at himself " a failure, worse than the hundreds before and after them." He looked over at Yukiko when she talked about her own life, how she had been subject to abuse and ridicule due to her powers. "It... It kinda makes me feel better, knowing that I'm not the only one who's suffered. I'm sorry for bringing the mood down, it's just..." He shook his head "nevermind. Look, Yukiko, I can assure you, even if you do feel sheltered, you'll soon see that this world is an amazing place, even if there are a lot of terrible people in it. That, I can assure you." He said, laying his hand in the vicinity of where his heart would be. A smile began to spread across his face "Yukiko... Thanks for letting me vent a little. I needed it." He said, before gently picking up the small creature balanced on his head and placing it in his palm "yes, these are very small chao, so I would also guess they're babies." He moved his head closer to the little red and white creature "do you know where your mama is?" He said, his voice growing less somber, and taking on a warm, yet gentle tone. Yukiko watched on with a soft look in her eyes as Caen began to play with the little blob-like creature and thought about his words before. The look of grief and anguish in his expression upon thinking of this Alastor figure was obviously hurting him a lot, and she wondered if he was holding in a lot more than he let on. She knew it wasn't her place, seeing as they were still technically only acquaintances after all, but she empathized with him, even if she didn't completely understand why exactly. "I... I don't know if it would ever help? But... " she trailed off as she took the Chao from her head off and gave it a gentle hug for some form of support with what she was going to say. "If you should ever need help, whether it be talking about things to feel better... Or if you need someone to assist you in a fight, I can be there as a friend." She knew it was a ridiculous offer, but with not being well versed in talking to others it was the only way she saw of establishing some form of trust with the hedgehog before her. "I am not the most experienced fighter as I'm not one for getting into those kind of situations, but I know my way around my powers and like to keep fit and active, s-so I could be there, even for back up if you wished for help." Yukiko wasn't entirely sure, but she hoped he wouldn't take her out of the blue ramble in the wrong way, if there even was a wrong way to take it. She just didn't want to see a kind soul like him upset. Caen continued staring at the small creature in his hand, waiting for a response. At this point, Yukiko offered Caen her help in several senses, be this combat, or just generally being a shoulder to cry on, in a way. He turned his head, and said "Yukiko... The offer is more than enough. Trust me. If I do ever need help, I'll be sure to find you." After Caen finished speaking, the chao that was still staring at the hedgehog soon hopped into the air, chirping once again. It flew a couple of laps around the hedgehog's head before moving towards the waterfall. It soon picked up the pace, entering the water and, presumably emerging from the other side. Caen watched the creature the entire time, a puzzled look on his face "I guess you were right, Yukiko. There is something behind the waterfall." The violet feline couldn't help but let her jaw fall open in surprise at the Chao just vanishing behind the thin ever-falling wall of water. So, her hunch was correct. "Is it... Is it maybe their home back there?" She wondered aloud to the red hedgehog she had hopefully not upset by trying to console without not fully understanding the situation he was in. "...does it want us to... Follow? " Before she knew it, the little white and blue creature in her arms began wiggling slightly to get free. She moved her arms to release the little blob only to have it grab onto her tail and gently tug her in the same direction. Yukiko couldn't help but raise a questioning eyebrow at the actions the tiny creature was showing to them, but humored it by removing her large appendage and replacing it with one of her fingers. The Chao looked surprised for a moment, but quickly regained itself as seen by the huge smile that just grew on it's face. It pulled her along, making her look back to Caen and silently looked to see if he would follow them in to the unknown behind the fall. It only took a few extra moments, but after walking underneath the sheet of cascading liquid, Yukiko was sure it would have soaked them. But no. Coming out on the other side, she was as dry as she was before which confused the violet feline. "...must be some kind of magic perhaps." She murmured in question. Turning her attention to what lay on the other side of the smallish tunnel, her eyes were met with a beautiful sight. There, right in front of them was a huge grassy plain. Small trees were dotted randomly around bearing all sorts of fruits. A shallow pond was in the center with a beautiful fountain decorating it, the carving of a giant Chaos Chao saluting being the main attraction of it. That was what else was everywhere in this secret place too. Numbers of Chao of all shapes, sizes and types were living in here. Yukiko couldn't believe it even though it was right before her very eyes. She had never been lucky enough to see or be in a Chao garden before, and now by the way of such luck one baby had guided them both into this hidden away paradise. She was awestruck. Caen shook his head at the snow leopard's suggestion "that's unlikely," he said bluntly, before widening his eyes when he realised that the Chao was now leading Yukiko into the waterfall, as she stared back at Caen, as though wondering if he would follow. The hedgehog held out an arm, shouting Yukiko's name, before sprinting after her, taking care not to slip on the rather wet rocks. He turned his body, so he was entering the water with his shoulder, and tensed his muscles, bracing for a rush of freezing cold water. He emerged the other side, no wetter than he already was. The hedgehog came to a halt, kicking up a small cloud of dust as he did so. He spotted Yukiko after a brief walk down a passage, however, he stopped when he emerged from the cavern. A large plain stood before him, with different kinds of trees bearing all kinds of fruits. The same red and white chao seemingly appeared out of nowhere, grabbing hold of the hedgehog's hand and leading him towards Yukiko. "A... Chao garden..." Caen said, almost breathlessly as he took in the near-mythical sight. "but... Wild chao usually stay away from Mobians and humans, let alone lead them to their home... Why do they trust us?" He asked to noone in particular. Either way, his gaze shifted to every part of the garden, taking in the sights, his mouth staying open nearly all of the time. Yukikos ears twitched and swiveled to take in every noise the garden before them had. All she could hear were happy chirrups, random babbling, the gentle flow of water from the impressive fountain and the occasional snore from a couple of sleeping chao a little ways from the 'doorway'. She nodded in response to Caens half whisper which told her he was as dumbfounded as she was. "Could it be possible...T-they trust us?" The voices of the two must have been louder than expected because all at once the little creatures sprang to attention and began swarming towards them both in interest. Some began to climb up their legs, while others merely hovered on the spot or circled them with their little wings going crazy to stay afloat. Murmurs of chao language and the odd giggle surrounded them. "Uhhhm... hi?" Yukiko more asked than greeted as she raised a hand slowly in case they feared them for moving so fast. He stayed relatively quiet when the chao stopped and began descending upon them, some clinging to his legs. He tried to seem as non-threatening as possible to the small creatures. The hedgehog stretched out his arm to one of those chao, carefully seeing if it will allow him to pet it "there, there. I'm no threat," he said, a sense of unease in his voice. A sense of calm washed over Yukiko as she felt a familiar presence on top of her head. The white and blue chao whom she met previously had returned and had taken its claimed 'spot' on her head, holding on to her hair gently to not fall off. Was it all because of the two chao who had burst out of the fall that the two Mobians even had the chance to enter this hidden away untouched place? The little baby began babbling quite loudly as if it was addressing the others with the red one appearing to agree and add on to the conversation that only the little creatures could understand. For ones so small, they looked to have a proper order as the others listened to everything the two were rambling on about. Some of the group had sat down in a semi-circle to listen to their garden member, others began to fall asleep or wandered back off to play or swim. "There's definitely something they like about us, isn't there?" Yukiko stated quietly to Caen as she lowered herself to her knees to get overrun by the little blobs climbing and cuddling her. "I've only ever read about chao... but like you said, wild ones have a tendancy to steer clear of us in fear of finding the wrong kind of Mobian who could hurt them." Suddenly, Yukiko felt her right arm getting pulled. She dismissed it as a chao just playing around, but then when the pulling got stronger she took a look to see the blue chao once again. It had its chubby cheeks puffed up and its big eyes narrowed comically as if it was annoyed she wasn't listening to it right away. She felt herself sweat-drop and she laughed nervously before getting back on to her feet to allow the little baby to drag her to where it wanted. She gave a half glance back at Caen before looking forward again to find herself in front of a strange mechanical creation. The chao babbled matter-of-factly and began pressing a rather large button that appeared from nowhere on the grassy ground, then pointed to her. Getting the point, Yukiko pressed a foot onto the pad to have a compartment open in a sliding motion. The chao squeaked in joy and disappeared inside, making the violet leopard panic a little until a hologram appeared in front of her vision. A 3D image of the baby appeared with the following words below. "WELCOME TO THE CHAO NAMING SYSTEM. PLEASE ENTER THE NAME YOU HAVE CHOSEN FOR YOUR NEW PARTNER." Caen still stood there, trying his best not to frighten the small creatures, even if they were clinging to him like some form of parasite. He lightly kicked one of his legs to try and get a chao off of him. "You can take it easy, now..." He said, nearly whispering the words. Soon, though, the same blue chao that had instigated this whole situation made noises that almost resembled speech. It wasn't exactly in a language Caen understood, but the other chao understood well enough. A lot of them returned to what they were doing originally, with some still lingering around the hedgehog, staring up at him. He was unsure whether the stares were in curiousity, or something else entirely. Caen was still staring back at the creatures when Yukiko had begun to be led away by the blue chao once again. He looked up, this time trying not to panic as he followed along at a fast pace. In mere minutes, a machine stood before them, with Yukiko stepping on some sort of pressure pad to activate a machine. This machine, from the words that were displayed, appeared to be a chao cataloguing machine of some kind, as it asked for the leopard to name the blue chao from before. "How odd," he said "I've heard of these kinds of machines before, but I thought they were generally in man-made chao gardens... Perhaps someone established this place as a safe haven for the chao?" He looked behind him, back at the small pond, where he spied some of the creatures swimming around. "If so, who?" He muttered, raising an eyebrow. The words that had appeared out of nowhere were suddenly echoed by a feminine robotic voice making Yukiko yelp in fright. Naturally the scare made her large tail puff up which made it twice the size it normally was, which, to someone else would be quite hilarious to look at. She turned back to see Caen standing behind her muttering about the nature of where the machine came from, and who could have potentially built it. He was right after all; only Mobian or human-made gardens housed these machines as a way of artificially naming and saying 'goodbye' to one of the little chaos creatures. She had also read of there being gardens where there were the likes of a kindergarten that had an older chao known as a 'Fortune Teller' help nickname a newly hatched baby for its owner. Yukiko wondered. Where was the one who made this machine the one who first found this garden? Was it them who made sure the area was safe? Was this person trustworthy themselves? She shook her head. It was pretty obvious whomever it was had to be, otherwise the little blob-like beings wouldn't have stayed here. But the whole place looked like it hadn't been touched by an outside hand in quite some time. "I don't understand this...the technology is of this era, but the machine is old and rusted as if it hasn't been kept well." Yukiko placed a hand onto the control panel, making it light up slightly at her touch. "I guess... I better name this little one, Can't imagine it smells too nice in there, not to mention its probably dark too. But what to call you?" The muffled babbling of the blue creature was heard as if it was talking to her and assuring her that it was alright. A sudden light bulb went off in her head to a name that sounded perfect for it. A soft smile appeared as she touched in the letters of the name she deemed perfect for the one who wanted to be her partner. "THANK YOU FOR USING THE CHAO NAMING SYSTEM. YOU HAVE CHOSEN THE NAME MELODY FOR THIS CHAO. ARE YOU SURE YOU WISH TO CONTINUE?" A yes and no option appeared, and Yukiko selected the obvious option, with the machine dimming down for a few seconds then the little blue chao flying back out of the small pocket it went into before, right into Yukiko's arms. "Ki! kiki!" It squeaked happily. White tipped ears twitched at the little baby almost saying her name in its language as it snuggled into her arms. Yukiko turned slowly to Caen and raised an eyebrow at him. "I...uhh, think I might have just been given this little one?" Caen straightened his back when a robotic voice sounded from the machine. Anyone could tell that he was now on edge, however, he seemed to relax a little when Yukiko pointed out that some of the parts of this garden had fallen into disrepair. For example, the machine that Yukiko was currently using was rusted, and made a noticeable humming sound when it was in use, which was enough to tell its age to the hedgehog. Caen looked around, as Yukiko named the blue chao 'melody'. "I'd feel bad if I left this place like this, if I'm honest," he said, looking back at the statue of the chao which, one second look, had bits of it chipped off and cracked, with a few vines here and there crawling up them. Soon, the blue chao had fired out of the machine, probably a little quicker than what Caen thought the chao would exit. It made a rather adorable attempt at saying Yukiko's name. She turned to him, guessing that this chao now belonged to her. Caen jumped when he felt something bump his shoulder. It was the same red and white chao that had originally thrown Caen into the lake. He widened his eyes and waved his hands "oh, oh no. I can't... I can't look after a chao." He said, looking over to Yukiko for advice. A louder than it should have been laugh escaped Yukiko when the little red chao who favoured Caen began nudging him towards the machine she was at just before. She saw the look in the hedgehogs eyes; he wanted to but was afraid he couldn't be what the little creature saw him as. "Aww come on... You know chao aren't hard to raise, right?" 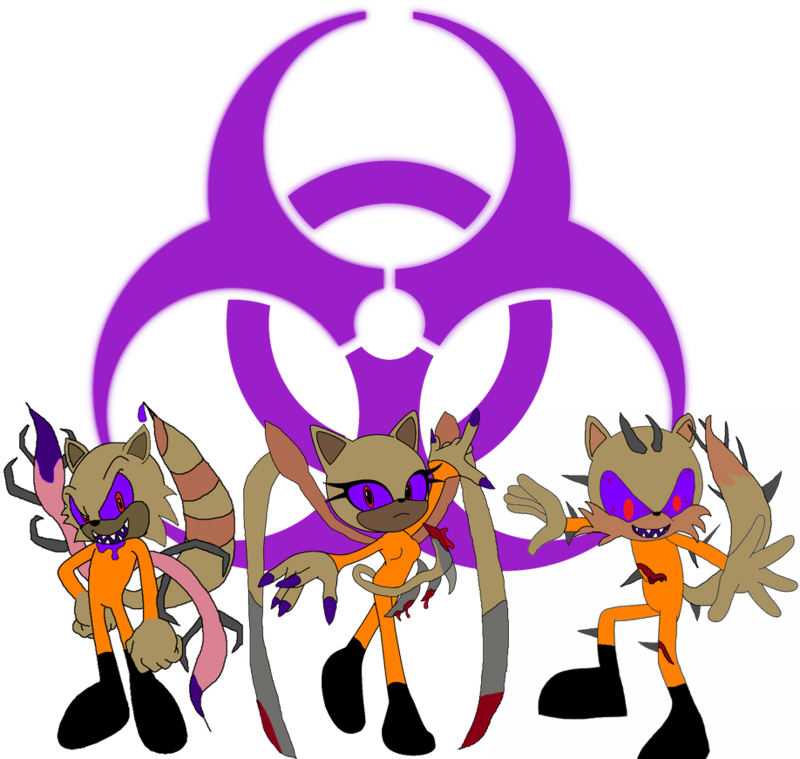 She wiggled her tail to grab Melody's attention as she let go and have it jump on to play with the purple appendage. "There is also the fact he could be an invaluable partner and friend. They're also quite good at fighting if push comes to shove." Yukiko reached forward to tickle under the red creatures chin, earning a squeaky giggle. "You can't say no to that little face, can you?" She watched as the chao began trying it's very best to pull Caen over towards the machine. She had to hand it to the little one; the persistence was strong. Meanwhile the chao she had now been basically told is hers had grown bored of playing with her large tail and had settled down to sit on top of it. Melody babbled incoherent words to the red one which seemed to egg the other on more as it held on with a tighter grip and flapped it's little wings harder and harder to get the red hedgehog to move. "it's... It's not that I can't raise one," he said, frowning at the creature's desperate attempts to drag the hedgehog towards the machine. "I'm an actor. That means I leave home quite often, sometimes for even months at a time! I mean, I could manage, but... Well, I don't exactly live a safe life. What if I failed to protect it? I... I wouldn't be able to live with myself." He said honestly, trying his best not to look at the chao to avoid being swayed by its staring at the hedgehog. Eventually, he caved and looked at it, speaking as though it understood him "are you sure that I would be a good choice? As I said before, it could be very dangerous. Are you willing to take that risk?" Yukiko understood wholeheartedly that Caen was only looking out for the little blob-like creature. She was lucky in that she worked in a cafe where the little one could come with her and even help out every once in a while. Not to mention she didn't exactly have the most interesting life around. A sudden thought occurred to her. "I could possibly help with matters?" 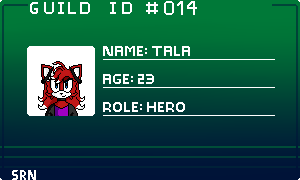 She already determined the funny look she was bound to get from the red Mobian. "Hear me out. You spend a lot of your time in your work or out trying to keep danger at bay because of everything that's happened in the past and such. I... well I don't have any of those setbacks other than my own work, of which I could easily move to part time with my other inc- uhh I mean my savings, even just for the short term. I could come here to be a sort of guardian." She moved over to the large fountain and ran a gloved hand over some of the spider cracks that showed the age and disrepair of the impressive structure. She smiled into the running waters as she swept a hand over the surface to make it freeze for a moment. "I could restore this place to its original glory and the Chao would be well protected also. That way your Chao could stay here and you could visit whenever you wanted and if the need be I could bring the little one to you?" Some Chao who had watched Yukikos hand glitter and shine climbed up on to the ledge of the fountain that kept the water inside the bowl and took a hesitant look towards the water that no longer looked quite to liquid-like. One in particular, a bright orange adult floated down to place a foot into what it thought was still water, only to find it was solid. It cheered in joy before standing fully on the icy surface and began somehow skating around the fountain like a professional. Caen was thinking. Perhaps there was a way to make this work? As Yukiko said, they were fairly decent in combat, and few of his opponents would target a small creature like a chao. However, the fact that the small creature would be in almost constant danger scared him. Yukiko suggested that he leave the chao behind, and visit it when he has time, while Yukiko would look after the garden. He shook his head "no, you can't do that. Your job is important, you don't want to end up getting less because you're working part-time. Anyway, I want to help with this place. I cant just leave it behind, knowing it needs fixing up." He smiled as he watched the chao react to Yukiko's demonstration of her powers, before looking back down at the red chao, who was now staring up at him with what most people would describe as 'puppy dog eyes'. He reached down and petted its head, causing it to chirp in happiness. "Look, I'm willing to take him in, but... I just want him to understand that his life may get a little more difficult with me as an owner." He scoffed "to be honest, I have no idea if he even understands what I'm saying." He said, looking at Yukiko, with a smirk on his face.